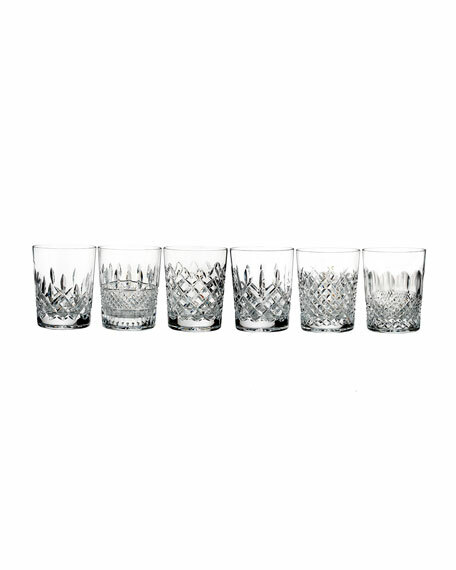 Set of six double old-fashioneds in a mix of six patterns. Set includes Araglin, Powerscourt, Lismore, Colleen, Irish Lace, and Alana patterns. 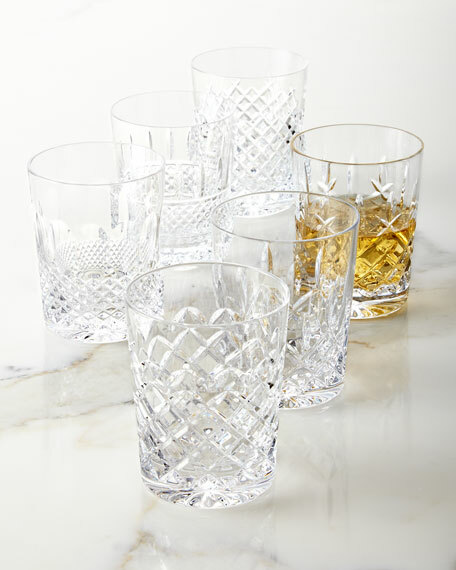 EXCLUSIVELY AT NEIMAN MARCUS Set of four handcrafted crystal double old-fashioned glasses. 24-karat gold accents painted by hand. 3.4"Dia. x 3.5"T. Hand wash. Made in Italy. Set includes cocktail shaker and four double old-fashioned glasses. Nonleaded faceted crystal. Stainless steel lid. Shaker: 3.7"Dia. x 9.1"T. Glasses: 3.25"Dia. x 3.8"T. Hand wash. Imported. Set includes: ice bucket, four double old-fashioned glasses, and nickel-plated tray. Non leaded crystal glasses and ice bucket. Ice bucket: 8.63"W x 6.7"D x 8"T. Glasses each: 3.25"Dia. x 3.88"T. Tray: 14.5"L x 11"D x 0.5"T. Hand wash. Imported. 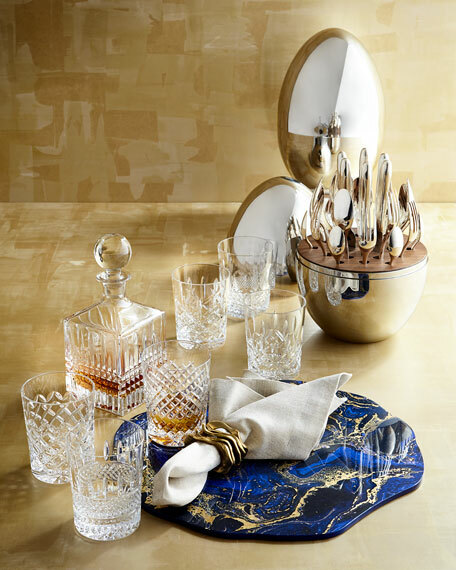 EXCLUSIVELY AT NEIMAN MARCUS Glass double old-fashioneds with golden decal decoration. Each, 3.25"Dia. x 4"T; holds 13.2 ounces. Set includes one of each design shown. Hand wash. Imported.